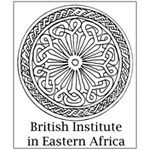 The British Institute in Eastern Africa is based in Nairobi from where it sponsors archaeological research and fieldwork throughout Eastern Africa from the Sudan to Zimbabwe. It publishes a series of Memoirs on its major projects. Browse all titles by the British Institute in Eastern Africa.